Enjoy up to 50% off selected collection of blinds. This includes Vertical blinds, Venetian blinds, Roman blinds and Roller blinds. We have a vast selection at very competitive prices. For example, Vertical blinds start at just £18! We offer, as usual, a free measuring service and quotation with no obligation. We will advise on the most suitable type of blind for the window/door etc. We can assist with the design choices and follow it through to installation. Our complete service is tailored to make the whole process enjoyable. Call now to make an appointment and arrange a home or office visit. 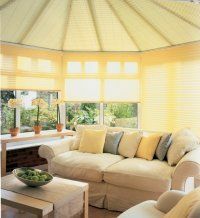 Once the order is placed our expert fitters will install your new blinds at a time convenient to you.